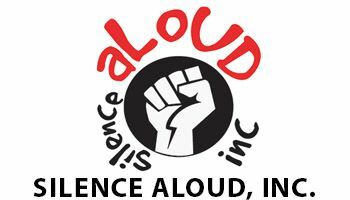 About Us - Silence Aloud, inc. Silence Aloud is a not-for-profit, charitable organization dedicated to providing housing, foster care, advocacy and support in all forms necessary for children, adolescents, and young adults who are victims of abuse, whether physical, emotional, sexual or substance related. We are 501c3 charitable corporation founded in 2006 with the goal of increasing the social awareness of the sexual abuse of boys under the age of 18 and to provide housing programs to current and former foster youth. Throughout our existence we are proud to have provided sexual abuse awareness training to all K-12 school guidance counselors of the Moreno Valley Unified School District. We have been a dedicated partner with Riverside County Department of Social Services helping to provide alternative placement options for children and families with open child abuse cases. In addition we are actively pursuing the re-opening our H.E.A.R.T. (Healing Environments by Applying Revolutionary Thought) Center transitional housing program which has the ability to serve over 26 homeless emancipated (former) foster youth between the ages of 18-21.